When the crew of the documentary Startups began shooting, Dai Wei, the 28-year-old entrepreneur and his bike-sharing venture, Ofo, were riding high. Back then, in early 2017, millions of the bright yellow shared bikes could be seen in more than 50 Chinese cities, as well as other countries such as the United States, United Kingdom and Singapore. Dai, then 26, was regarded as one of the most prominent budding entrepreneurs, exemplified by his appearance on a Forbes "30 under 30" list and the Hurun China Rich List. However, Ofo is now teetering on the brink of bankruptcy. Millions of users are clamoring for the return of their deposits and Dai was put on a spending blacklist by a Beijing court on Dec 4, which prohibits him from air or high-speed rail travel and staying in high-end hotels. "We've seen his anxiety and stress rise since the middle of last year, but I didn't expect it would turn into such a crisis. 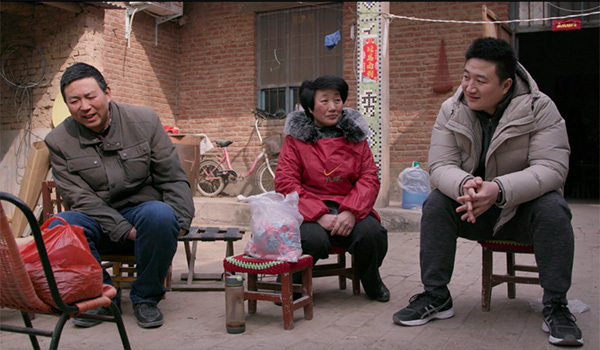 However, I still admire Dai's spirit to fight for what he loves," says Guan Xiu, the main director of the documentary, during a telephone interview with China Daily. Since Friday, the film-which follows 14 startup founders-has been released across Chinese mainland theaters, while a five-episode series with the same title is still being produced and expected to debut later this year. Aside from Dai, the 107-minute documentary also features Luo Yonghao, founder of the niche smartphone maker, Smartisan Technology; Cheetah Mobile CEO, Fu Sheng; Jin Xing, who established the online cosmetic medicine platform SoYoung; and Jiang Yilei, better known as Papi Jiang, an internet celebrity who founded a short video production company. A veteran of several successful TV reality shows about business startups, Guan says she has met a lot of ambitious entrepreneurs, making friends with them and witnessing both their joy and despair. "During the interviews, we've found that more than 90 percent of startups don't survive the first three years (in the Chinese market). "In fact, a renowned investor estimated that on average, an entrepreneur will not taste success until they have failed in at least three business endeavors," says Guan.